Hello Seattle! 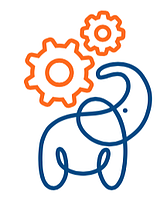 We're excited to join DevOps Days Seattle for the first time. Stop by our table, meet the team and grab a t-shirt. Learn why forward-looking enterprises are turning to self-service operations to safely distribute the ability to define and execute Operations tasks while maintaining centralized security and governance. Hello Denver! We're coming out to DevOps Days. Join us in Austin for one of the OG DevOps Days events. 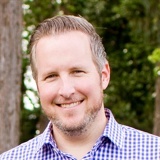 Team Rundeck is proud to announce that our co-founder, Damon Edwards, will be one of the keynote speakers. The rest of the team will be talking DevOps and self-service operations at our sponsor table. Team Rundeck is coming to Salt Lake City! Our co-founder, Damon Edwards, is speaking. We'll be talking DevOps and self-service operations at our sponsor table. Stop by for conversation, stickers and t-shirts. We're headed to Canada! DevOps Days Toronto is one of the largest at over 1,000 attendees. We'll be sharing how Rundeck fits into an enterprise DevOps strategy. Hint: It helps Operations scale, tighten security, and move faster. Stop by for conversation, stickers and t-shirts. Modern systems pose a number of thorny challenges: they are inherently complex, span multiple technologies, groups, and sometimes different organizations altogether. Most poignantly, they fail in the most unexpected and spectacular ways. The O'Reilly Velocity Conference is the best place on the planet for web ops and systems engineering professionals like you to learn from your peers, exchange ideas with experts, and share best practices and lessons learned for handling modern systems and applications. Come out and meet the team. Learn how self-service operations can beat the enemies of modern IT-interruptions, toil, and unplanned work. Spending too much time waiting for others to do something for you? Or do you have lines of people waiting for you to do something for them? Are you frustrated by frequent interruptions and repetitive requests? For too long this has been accepted as the status quo in Operations. There is a better way. Damon and Alex from Rundeck will be presenting Self-Service Operations, a design pattern being used by forward-looking enterprises to safely distribute the ability to define and execute Operations tasks while maintaining centralized security and governance. Meet Team Rundeck at this multi-track event. Learn how self-service operations is transforming the way Ops work gets done. See a demo and grab a t-shirt. Operations is changing, and it is changing fast. Wouldn't it be helpful to be surrounded by peers who are working on the same transformative topics? Join us for NewOps Days in Phoenix! NewOps Days is a community-based event series organized and produced by Splunk, with founding sponsors, Rundeck and the DevOps Institute. Join a local group of practitioners and professionals, captivating guest speakers, and industry leading experts to discuss the challenges and opportunities we all face today in modern IT Operations. Join us for a new Rundeck training webinar. Nathan Fluegel, Rundeck's Head of Customer Success, will deliver a primer on Managing Users and Roles--Authentication and ACLs. Controlling access is the first step to self-service. Whenever you access Rundeck, you log in and use specific projects and jobs., based on who you are, your authentication setting, and ACL policies. Learn how these features are configured and best practices to get you started. We'll also include a Q&A session. This session is valuable for Rundeck Community (open source) and Enterprise users. Hate toil? Then you'll love Rundeck. Stop by our booth at SREcon and see how Rundeck simplifies the SRE life. The secret is self-service operations. [Past] Rundeck Webinar: Toil, Politickets, and the Culture of Self-Service- LIVE! Are you drowning in toil? Don't miss this live event on March 6, 2019 at 9:00 am PT/12:00 pm ET to hear a real-world story of banish toil from your environment with self-service operations. Most IT environments inherit a culture of toil that, in many companies, isn’t even recognized or acknowledged as being counter-productive. Hear the story of a company that had a lot of processes, a culture that prized toil, and how self-service operations changed a perspective from “This is good.” to “The good was bad? ?” You will learn how to replace toil with self-service automated workflows that deliver quick wins and visible ROI. Become the Ops Hero. [PAST] Rundeck Webinar: Understanding Nodes in Rundeck - LIVE! Join us as Nathan Fluegel, Rundeck's Head of Customer Success talks Nodes. Resource nodes are a fundamental element of using Rundeck. Nodes are the resources that you will manage with Rundeck and how you define them can affect how you can address those nodes.We'll also include a Q&A session. This session is valuable for Rundeck Community (open source) and Enterprise users. Join us at the first DevOps Enterprise Summit in Las Vegas. We're looking forward to meeting customers and colleagues. We'll be making some big product announcements, demoing our new Rundeck+Splunk integration, and our co-founder Damon Edwards will be lighting up the main stage on Tuesday with his talk, "Operations: The Last Mile." Stop by, say hi and pick up some fresh new Rundeck swag. Kick off the new year at DevOps Days New York. We'll be demoing Rundeck 3.0., and have fresh Rundeck swag to outfit you for 2019. Stop by and get tips from our experts on how Rundeck can improve your enterprise operations. Hint: self-service operations. 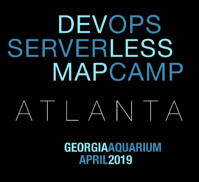 We, along with Splunk and the DevOps Institute, are hosting another new community-focused conference series called NewOps Days. Don't miss NewOps Days in Raleigh on December 4, 2018. Speakers from RedHat and VMware, lunch and cocktails. Admission is free. We believe this kind of experience is invaluable. That is why we are joining forces with Splunk and the DevOps Institute to produce a new community-focused conference series called NewOps Days. Register now to reserve your spot. Visit the NewOps Days site for more info. Right now, the road to digital transformation runs through IT Operations. The adoption of fast-evolving technologies, methodologies, and tools have not only created new capabilities, but have become a catalyst for innovation across the enterprise. Join your peers at this year’s most important IT operations summit. The Rundeck team will be demoing Rundeck Pro and answering all your questions about increasing ops efficiency with Operations as a Service. 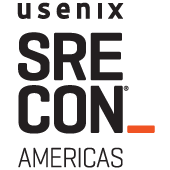 SREcon is a gathering of engineers who care deeply about engineering resilience, reliability, and performance into complex distributed systems, and the scalability of products, services, and infrastructure within their organizations. At its core, SRE is focused on intersectionality—creative engineering at the nexus of systems and software engineering. The conferences strive to reflect and support all aspects of the diversity of our community. SREcon welcomes both new practitioners and those who have been involved in the profession for decades. The conference speakers and attendees include practitioners from a variety of organizations: from big companies operating on a global scale, to the innovation of small startups, to those seeking to pivot their companies to unite software engineering and systems engineering. DevOps Enterprise Summit is a conference for the leaders of large, complex organizations implementing DevOps principles and practices. Rundeck is sponsoring this must-attend event. We’ll look at how high-performing enterprise Operations organizations apply DevOps principles to improve the post-deployment lifecycle, their successful process and tooling design patterns, and how their Developers are playing a key role in reducing the difficultly and cost of operations activity for everyone. Get registered and we'll see you there. How do we rapidly respond to incidents and recover complex interdependent systems while working within an equally complex and interdependent organization? How does Operations embrace the DevOps and Agile inspired demand for speed and self-service while maintaining quality and control? This Wednesday, 26 July, Rundeck will be featured at a "mega-meetup" that is the combination of several local Singapore meetups. This meetup is being helped in conjunction with the RSA conference being held at the Marina Bay Sands conference center. Rundeck's Damon Edwards will also be speaking during RSA at DevOps.com's DevSecOps mini-conference on Tuesday, July 25. Self-service Operations Guide Learn how to transform Ops at your organization. Rundeck Enterprise Video Demo Get a walk-though before you try it. Rundeck Enterprise Data Sheet All the details and exclusive features. Community Spotlight See how your peers use Rundeck to modernize Ops.